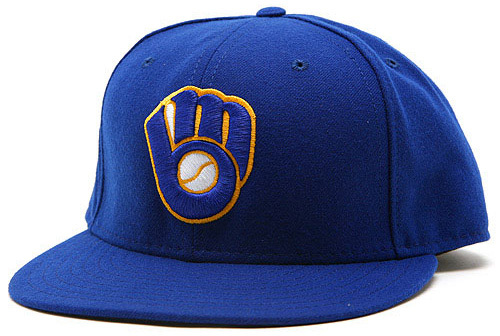 MILWAUKEE -- Jimmy Nelson's uncertain timetable means an opportunity for someone else as the Brewers use Spring Training to sort out the back end of the starting rotation. On the eve of pitchers and catchers reporting to Maryvale Baseball Park, three spots were set with Chase Anderson, Zach Davies and free-agent acquisition Jhoulys Chacin. Nelson, Milwaukee's best starting pitcher last season when the team's rotation ranked 10th in the Major Leagues with a 4.10 ERA, will start the season on the disabled list and will miss a still-unknown portion of the first half as he recovers from shoulder surgery. In his stead comes a group of in-house competitors -- including Brandon Woodruff, Brent Suter, Yovani Gallardo, Junior Guerra and Aaron Wilkerson -- who technically begin Spring Training on equal footing. It seems like every season a 'mystery' pitcher appears and holds down a portion of the rotation. We had two last year with Anderson and Davies both taking big steps forward. Year before some guy named Guerra. And let's not forget Fiers and Estrada before that. So who is the unknown or forgotten hurler that steps up this year? Guerra figured out how to regain his speed this winter. If he is back to full velocity why can't he reclaim opening day worthiness this Spring? Gallardo lost his velocity and effectiveness which a return would make him a solid mid rotation starter. Suter never was fast which hasn't hurt him of the 3.45 ERA in 14 starts last year. With a year experience under his cap can he become even more effective? And the kids are kids and there are a lot of them. We already have a chance to make the mid season move by hopefully getting a healthy Jimmy Nelson. I don't think Stearns is done. If he doesn't get the player he wants this staff doesn't lack for upside as is. If they're as competitive as last year, I'll be happy. You prolly need one of these for the collection. Welcome to #Brewers camp. On his first day, Matt Albers gets back windshield of his vehicle destroyed in players parking lot by drive off bat of Jesus Aguilar. "I will park farther away tomorrow. " Danny Salazar is "a couple weeks behind" the rest of the Indians' pitchers, per the team. He dealt with right shoulder inflammation in January during his offseason throwing program. Wade Miley is a refreshingly direct fellow. Asked what went wrong last year in Baltimore, he said, "I walked a s&!t ton of people." He called it "absurd" and did some mechanical work over the winter to fix it. Craig Counsell said Junior Guerra's off year in 2017 came after team asked him to rest during winter ball. Of course, injured calf in first game, too. But Guerra returned to winter ball this year and pitched great in Venezuela. Guerra upbeat about that. I found these to be very interesting numbers especially Villar hitting .365 late. 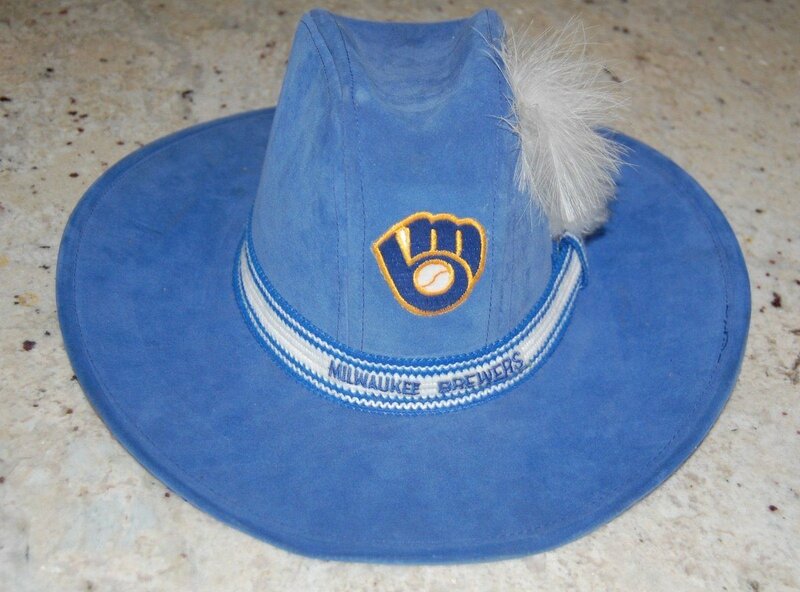 <big>3</big> Career-high number of homers for Sogard, two of which came in his first three games with the Brewers. <big>5</big> Players to start a game at second base in 2017 (Villar 84, Sogard 37, Walker 24, Pérez 16, Nick Franklin 1). <big>6</big> Offensive career highs posted by Pérez (games, 136; at-bats, 432; hits, 112; doubles, 19; homers, 14; walks, 20). <big>11</big> Number of position players to pitch in a game for the Brewers. Pérez did it on July 27 in Washington, allowing a hit and a walk in one inning. <big>.365</big> Villar's batting average over his last 29 games (three homers, seven RBI). Sogard crushing 3 home runs was something I missed. Oh, he hit only one after the first three games maybe that's why I forgot his power. There are some of us here that are HUGE Villar fans if for no other reason but to reduce Sogard appearances. Sogard had a huge May, good June, and Sogarded his way through the rest of the year. Villar was a better hitter in June, July (both sucked in July, but good lord was Sogard bad), by August Villar was head and shoulders above Sogard. In Sept we really needed Neil Walker. Sogard should be shown the front door yesterday. Either Stearns has Russian bots working for him or he really is willing to roll with the pitching staff he has. Allowing more reclamation projects and giving the kids a shot versus padding the pockets of an over 30 starter or trading the house for a starter is rather Thompsonesque. Source: Giants have a minor-league deal with veteran lefty Manny Parra. He'll join their minor-league camp. Former Brewer and Red last appeared in majors in 2015. Sogard with the 2 RBI triple to beat the Cubs 2-1. Love that little guy. A pros pro. We're less than an hour away from the start of Bob Uecker's 48th season calling Brewers games. Ueck had an interesting offseason -- he was bitten by a brown recluse spider here in Arizona in October and needed surgery. But he's full-go for the start of Spring Training. Clearly Ohtani is a plug. Broxton goes deep on him instead of a K! Really bad base running probably caused the loss yesterday. A couple of guys I never heard of made really dumb plays. After a leadoff double, runner tried to go to 3rd on a grounder. He didn't stay in a run down long enough so when the batter/runner tried to go to 2nd he was thrown out too. Just dumb for pro athletes to perform this way. Sure it's practice.....but practice carries over into games. At least that is what I was always told. The tax for having spent too much is leveling the playing field for teams but free agent market is so loaded it is definitely a buyer's market. The Crew with plenty of room is sitting quiet trying to make an excuse for not signing players while they're loaded with tallant. Poor Scott Boras is begging Philly to sign Arrieta to help them with their rebuild? The season may start with the FA cupboard still full. Been trying to find info on Hank......is he still there? He’s a great draw for the kids and me. Sogard does it again. A 3 run double and a 3 run homer by Nick Franklin and the Brew Crew beats the Reds 6-3. Hope his arm holds together because he looks like next generation Ryan Braun hitter. After a 10-10 tie yesterday the Brew Crew bounce back for a 6-1 win today. These guys sure can score runs. And Sogard had 2 walks and a run scored. Miley, Suter, and Junior making strong pitch for end of rotation spots. Anderson rumored to being having his best camp ever. Making it hard to spend the money on Free Agent guys! ****, folks are offing Neil a minor league invite? I take Neil back in a second, and not just becuase it would finally get Sogard to hit the pavement. Did Walker go to Notre Dame? That seems to be a stronger link than some others we have seen lately. Crew wins again, 10-6 over the Royals. Sogard 2 for 3 with a double, a walk, 2 RBI and a run scored. Aguilar with a homer. Guerra went 4 innings, 6 hits but only 1 earned run. ...and Sogard must have f'ed somebodie's, somebody, just sayin'. Brewers lost 2 in arow. And Sogard didn't play in either loss. • Ji-Man Choi doubled and scored in the bottom of the fifth and is hitting .440 in his quest for a potential bench role with the Brewers. Anybody else notice how this guy is doing? Is the Thames era nearing an end? Suter finally got knocked around. I know it's only spring training but I sure hope this run production continues into the regular season.